KAMPALA– Officials of the Central Bank today found time to explain the criteria they used to sell loans of three defunct banks at a discount, after falling short of tabling the documentary evidence detailing the sale. 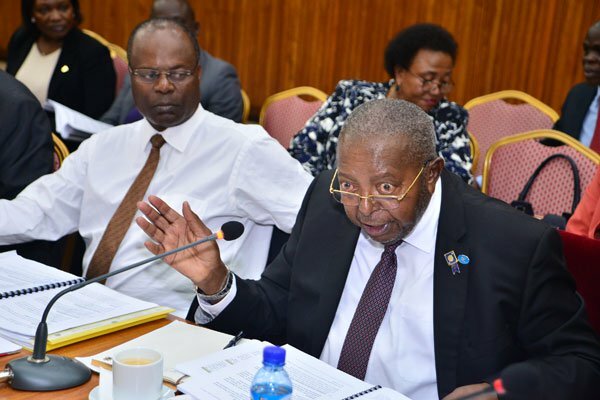 The Bank of team had appeared before the Committee of Commissions, Statutory Authorities and State Enterprises (COSASE) that is investigating findings in the August 2018 special audit report that looked into the process leading to the closure of the seven defunct Banks by Bank of Uganda. John Muwanga, Auditor General, highlighted that Bank of Uganda sold assets worth Shs164Bn of five defunct banks (ICB, Greenland, Cooperative, Global Trust Bank and National Bank of Commerce) at a discount of 80% yielding Shs32Bn. The Auditor also noted that in the case of ICB, Greenland Bank and Cooperative Bank, the total loan portfolio sold of Shs135bn included secured loans of Shs34.5Bn which had valid, legal or equitable mortgage on the real property and were supported with legal documentation but were sold to Nile River Acquisition Company at a 93% discount. Yet still, the Special Audit report also revealed that there was a delay in disposing the assets as the assets were sold in 2007 despite the banks closing in 1998 and 1999. Additionally, the negotiation minutes detailing the evaluation of alternatives and assumptions for the sale of GTB and NBC assets were not provided, which made it impossible for the auditors to determine the basis for transferring assets at a discount. Tumubweine Twinemanzi, Executive Director Supervision told the Committee that estimating the recoverable amount of a closed bank’s loan portfolio cannot be done with precision since there is uncertainty in the recoverable value of the loans, and of the costs related to recovery. He also told the Company that no buyer of the loan portfolio for a failed Bank is or will be willing to pay the full book value for the said portfolio, irrespective of the actual performance on the loans therein and thus, it is inevitable that these portfolios will always be sold at a discount. Bank of Uganda team informed the Committee that Kirkland & Associates was contracted to provide the exit strategy with the purpose of finding the buyer of the loan portfolio and settled for Octavian Advisors that were willing to pay the debt at USD10M but they later sold to Nile River Acquisition at USD5.2m.